Welcome to National Bird Control. Nesting behaviours – Pigeons and other bird nests can block drains, pipes, gutters, chimneys and flues leading to the dangerous accumulation of noxious fumes inside a property, flooding and water damage. Also Pigeons and other birds deface buildings & vehicles with their droppings. They frequently foul entrances and pavements, which can become dangerously slippery. 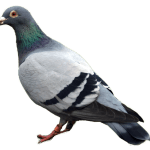 Droppings – Pigeon droppings also contain a number of diseases and infections such as Salmonella. Similarly, when dry, droppings can become airborne in very small particles, leading to respiratory diseases. Pigeons are a source of allergens, which can cause respiratory ailments like pigeon fancier’s lung and allergic skin reactions. There is potential for illnesses to spread to humans through contact with pigeon droppings, parasites or feathers. Dead infected pigeons can also affect food or water sources. National Bird Control can provide effect pigeon control services from pigeon proofing to pigeon dropping (guano) removal. Although a native to this country, our permanently resident starling population is swelled every autumn by migrants arriving from the Continent. Starlings may roost in their thousands on ledges on buildings and in trees in city centres. Their droppings deface and erode stonework and make pavements slippery. In domestic lofts, their nesting activities can build large piles of twigs, leaves and associated fouling. Insect and mite pests can find their way from this into the house. 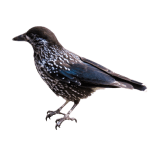 National bird control provides effective Starling control using bird proofing methods such as netting on buildings and mesh on entry points to houses. How Can National Bird Control Help? Birds can be destructive and disruptive to businesses, creating a mess and damage in public areas, to street furniture, roofing and building structures. Their presence can be a nuisance to customers and residents. National bird control are able to offer effective, guaranteed solutions to help protect your building. 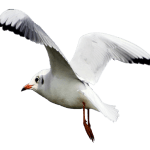 National Bird Control provide a comprehensive bird and pigeon control service protecting your premises or those of your clients from pigeon roosting, guano and mess, seagulls and all other nuisance birds. Our first class service has been called on to eradicate bird problems from public sector buildings, schools, supermarkets, monuments, historic buildings, motorway bridges, Shopping centres, office blocks, warehouses, airports, stations and listed buildings. The system consists of a polycarbonate base and steel spike which is fanned at different angles depending on the specification of bird spike selected which is determined by the species of bird being proofed against and the width of the ledge being protected. One the most effective bird control methods. The net in no way harms the birds, but is very effective in removing roosting and nesting opportunities that will in turn cause the birds to displace away from the affected area. The bird netting is constructed using a perimeter framework cable which is fixed. How do I keep birds away from my building? Birds require 3 things to survive – food, shelter and water. Removal of these requirements makes the site less favourable and less prone to be occupied by birds. Birds are nesting in high and difficult to reach areas? All of our contractors are have extensive Health & Safety and Working at Height training and carry IPAF (International Powered Access Federation) Licence. We employ a number of methods to reach high and difficult to reach locations so there is always a safe access solution available for every scenario. What is the best way to control birds? All scenarios will require a different approach but the surest way to prevent bird activity is to deny the birds opportunity to roost on a building which is always the beginning of any infestation. The “our services” section above will explain in detail the varying degrees of control that are required from one client to the next so a bespoke solution is provided every time. How do arrange a site visit? Feel free to fill out the enquiry form on the contact page and a member of the team will be in touch straight away. Alternatively do give us a call directly on 08000 886 014 and we will be happy to arrange a site consultation over the phone. I have pigeons on my business premises (warehouse) what’s the solution? National Bird Control provides wide range of bird control methods in warehouses, from proofing to culling (shooting). Please call us on 08000 886 014 to arrange a free no obligation quotation visit. Why bird droppings (Guano) are considered hazardous to health? Pigeon and other bird droppings contain a number of diseases and infections such as Salmonella. Similarly, when dry, droppings can become airborne in very small particles, leading to respiratory diseases.